2015 saw another boost in the number of teams in the Leinster League bringing our number up to 28 teams. With 13 teams playing in a crowded 2nd division, 8 teams in the 1st division and only 7 teams in Prem, it was a rollercoaster of a season with new a few teams upsetting the status quo. Never short on entertainment, Division Two has always been a popular breeding ground for new players and new teams, and 2015 was no different. 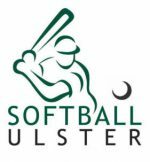 Three brand new teams entered the league, along with Softball Leinster stalwarts, the Blazzers, making up a thirteen team, three-county-division to play out over a total of six months. The division ran as follows; Each team would play each other once before the division split into three conferences based on their placing in the league after the initial twelve games. Each team would play the others in its conference once again to decide final league standings. The Renegade Reapers and Dodder Dynamites joined the Sauce Monsters in Conference A, leaving one spot to be claimed. With SWAT, the Blazzers and the Castleknock Wildcats contending, the Tullamore Tigers were favourites for the spot, putting eight wins in a row together on their way towards the top conference. However, the Castleknock Wildcats had other plans, beating the Blazzers and Tullamore Tigers to edge that fourth place spot. The Homers would claim the eighth place spot in Conference B, squeezing out the Oddsox Blacks. August then played host to the Conference stage of Division Two. The Oddsox Blacks would lay claim to Conference C, outdoing both the Deadly Suspects and Renegade Titans. The Tullamore Tigers, were unlucky missing out on a spot in Conference A, but coming out on top of Conference B. In Conference A, the Sauce Monsters slipped up in losses to the Castleknock Wildcats and Renegade Reapers, with both of the latter sides also claiming wins over the Dodder Dynamites, setting up an exciting final day of the season at the top with the Renegade Reapers beating the Castleknock Wildcats. This season’s First Division saw some exciting competitive play. The division lined up as follows: Dublin Bay Packers, Base Devils, Thunderbolts, Temple Bar Hippities, The Usual Suspects, Marlay Meteors, Kielys Chuggers and Castleknock Bearcats. The Packers were relegated from the premier division last season and Thunderbolts came up from division 2. The 1st division winners were the Temple Bar Hippities thanks to a ten-game winning streak in the middle of their season leaving their nearest contender, the Castleknock Bearcats one win short of the title. The Chuggers finished with their best season yet with a strong 8-5 season. 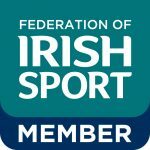 The Dublin Bay Packers slipped from Prem and had to forfeit two games during the season due to a lack of players, they finished just ahead of their 2Pak clubmates, the Thunderbolts. The rest of the division saw the Usual Suspects, Marlay Meteors and the Base Devils rounding out the division. 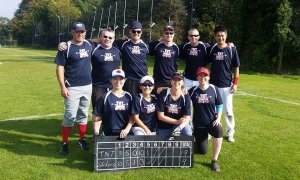 Finally, a smaller Prem division with only 7 teams who played 12 games this season, with each team having a two bye weeks, was rocked this year by the upstart team made up of former Renegade Reds and Sluggers players who formed “The New Team” – AKA TNT. TNT went on to win the Prem division in their inaugural season. Coming right up behind TNT with the same amount of wins was 2014’s division champions Odd Sox Green. The rest of the Prem division finished up with the Dodder Dynamoes, Batpak, Kiely’s Kegs, Marlay Martyrs and the Renegade Beachers rounding out the 7 team division. Thanks to all the teams and players who played this year and contributed to a great 2015 season. We are looking forward to the 2016 season and looking forward to seeing you all back on the diamond!